Bits and Pieces...: Awesome Giveaways! 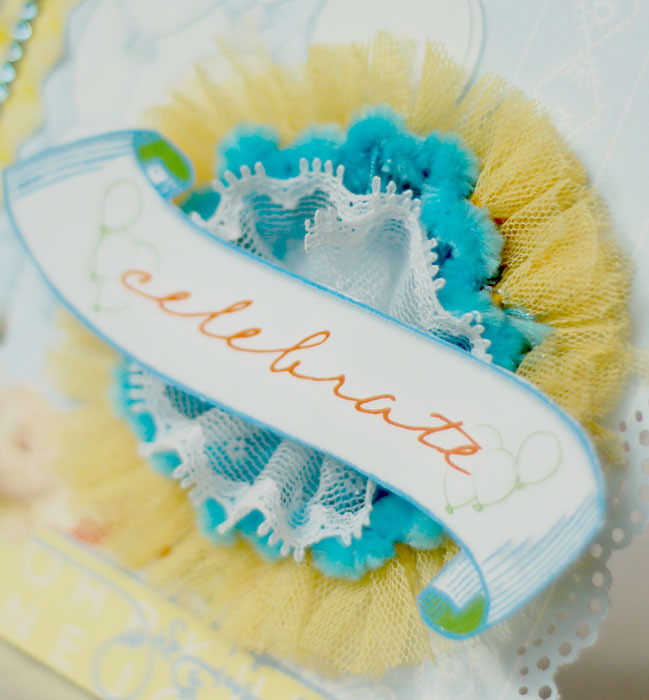 There is still time to head over to the Emma's Paperie blog and win some AWESOME stuff. Emma's 4th Birthday bash was Saturday. There were lots of projects and the best part.... great giveaways! The Grand Prize is a $100 Gift Certificate to the store. Cindy will be picking winners and announcing them tonight. So definitely head over and participate!! I have a fun card to share with you. I made it using Webster's Let's Celebrate line. I still find myself reaching for this one over and over because I just adore the colors so much! 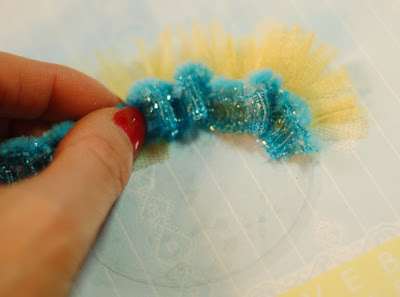 To create the flower, use a 2" Gluber. Begin by adhering the yellow trim. Add it to the edge of the Gluber, with a bit of it hanging over the edge. 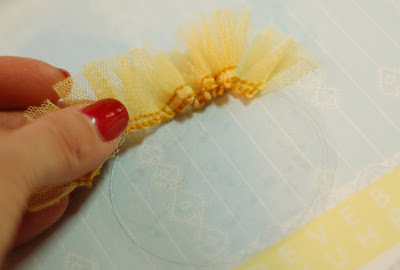 Pleat it as you go along until the full outer circle is covered. Repeat with the blue trim and finish with the white. I hadn't used Glubers before, but I think I'm hooked now! Loved how easy it was to use. I added the flower to the card and finished it off with some gems, a sparkler and a sentiment cut from the paper. Easy Peasy! 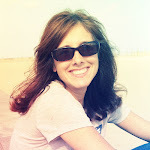 So head over and enjoy the events on the Emma's blog. Be sure to scroll all the way through. There are about three pages worth of fun! So lovely! 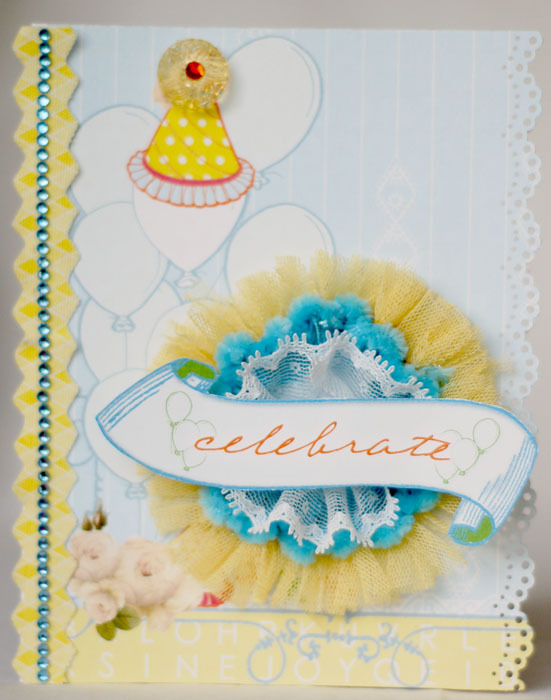 LOVE the yellow and blue and that FAB flower! Wow, this is stunning. Thanks for sharing the tutorial. Never heard of Glubers until now! Oh wow, that flower is divine!! I love your unique way of using the trims. Your card is so gorgeous. Awesome flower! I have gluebers and haven't used them yet.WOW what inspiration Anabelle!! Awww! That is SO cute!